Breakfast on the boat, cruise to Bidadari island for relaxing, swimming and snorkeling, lunch on the way to Labuan Bajo and continued your trip by AC-car to Ruteng. Enroute visit Spiderweb ricefield/Lodok in Cancar. Dinner at local restaurant and overnight at Susteran MBC guest House or Shinda Hotel. After breakfast departure from your hotel to visit Golo Curu with its very nice scenery from Ruteng town and rice field, back to Ruteng and visit Ruteng Puu before you leave for Bajawa. on the way stops in Rana Mese lake, Aimere and in the afternoon taking bath at Soa Hot Spring, Dinner at local restaurant, overnight at Sanian Hotel or Happy-Happy hotel or Villa Manulalu. In the Morning visit Bena and Luba traditional village of Ngada and continue to Penggajawa to see the blue stone, Lunch in Ende, visit local market before you drive to Moni. Dinner and overnight at Kelimutu Moni eco lodge hotel or similar. 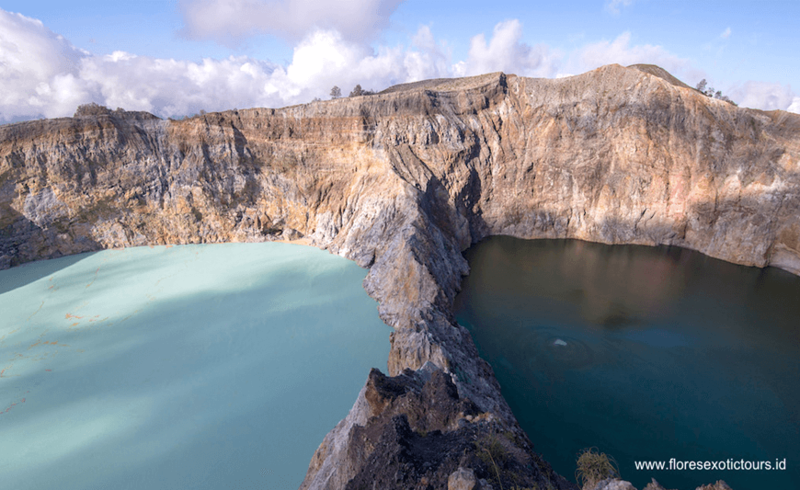 Early morning at 04.00 drive up to the three colored lake of Kelimutu, one of the most spectacular and mysterious sight indonesian. Breakfast box will provided, after breakfast visit Jopu traditional village, and than proceed to Paga and Maumere. Dinner and overnight at Sea world club, Maumere.